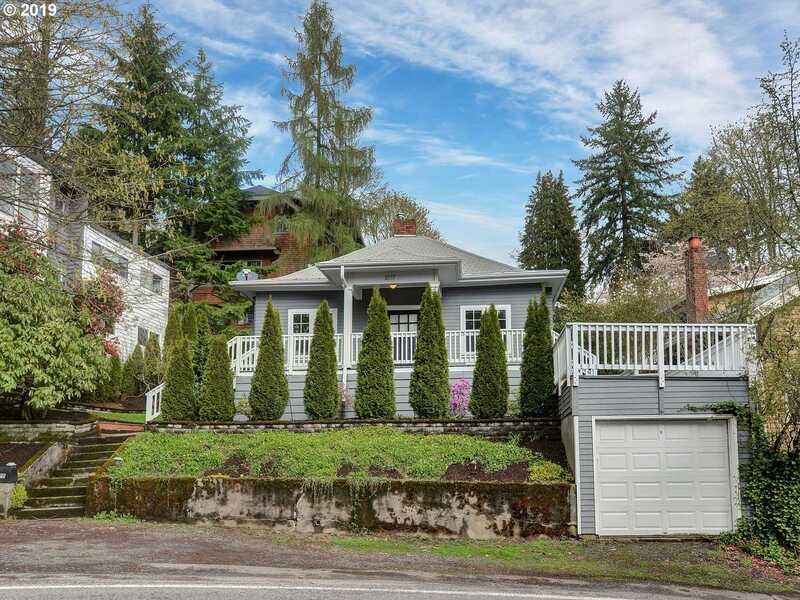 This light & bright Portland Heights bungalow could also be a perfect condo alternative! Beautiful period details thru out. Open floor plan w/large chefs kitchen that opens to the dining room and the cozy living room with a wood burning fireplace and charming window seat. Office on main w/French doors cld be small bdrm. Large side patio & roof top deck are perfect for entertaining! Close to Downtown, OHSU & trails!